As infographics involve with graphics and texts, many people will first think of Photoshop as the tool for infographics design. However, as we all know, Photoshop is pretty cumbersome and time-consuming, and it's difficult to get started by beginners. Let me introduce you a great infographic maker - Edraw - an intuitive, easy and smart infographic solution coming with thousands of infographic elements and hundreds of templates. 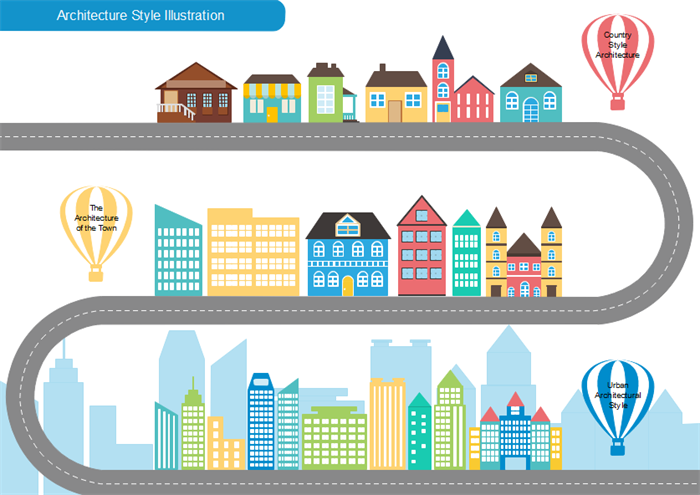 Edraw infographics software is an ideal choice for making infographics quickly and easily. You do not even need the basic drawing skills, just drag-and-drop the shapes you need, then the infographic you want is finished. Try this great offline infographic generator that helps people design good-looking infographics out of pre-made graphics and templates. 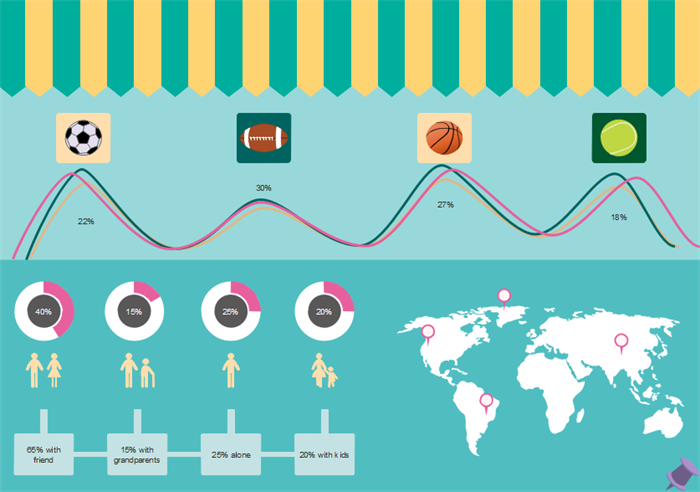 Without the need of artistical skills, anyone could design attractive infographics with the drag-and-drop interface. 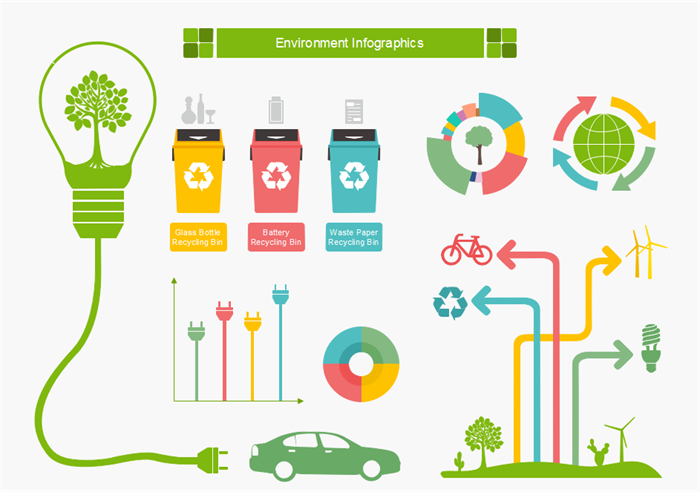 Thousands of infographic design elements are provided in the software. They are classified into 11 categories and respectively stored in the symbol libraries named architecture, business, education, environment, food, music, news, technology, medical, tourism and transportation. 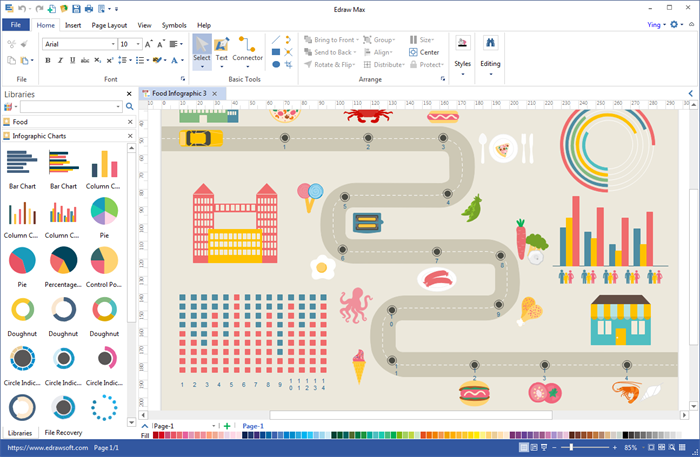 Besides these theme elements, you have general design elements too, such as the 2D blocks, icons, basic drawing shapes, common shapes, titles, backgrounds, etc. All the elements are vector based, allowing users to edit the format according to their personal needs. 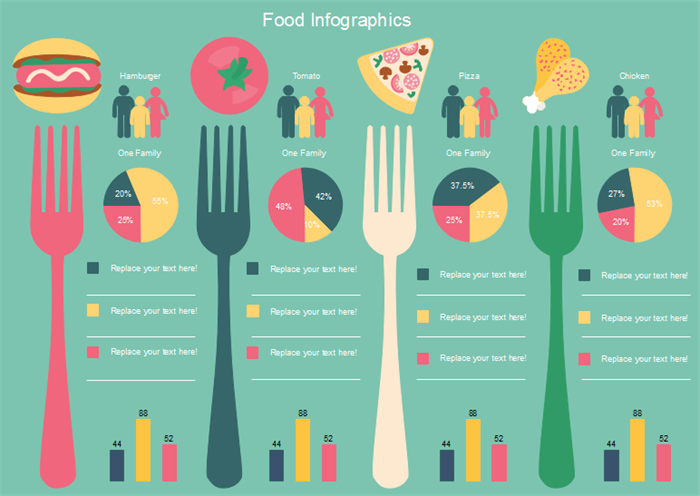 To help you display data in ways that is attractive and meaningful to your audience, our infographic software is developed with modern techniques to generate many kinds of charts. 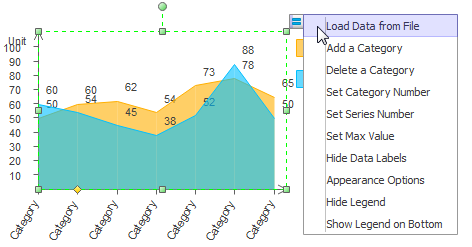 Whether you use the predefined shapes to create a new chart or use the templates and examples to get started, you can always easily get the professional results you want from a list of standard or customizable chart elements. From this comprehensive and powerful software package, you will get advanced data visualization tools like column chart, bar chart, pie chart, doughnut chart, line chart, scatter chart, area chart, bubble diagram, comparison chart, etc. 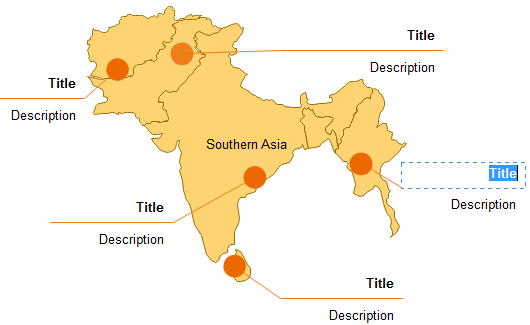 From the world geo map library, you can get the world map outline, maps for each continent, and maps for each country. You can use the whole map, or just take out a part. 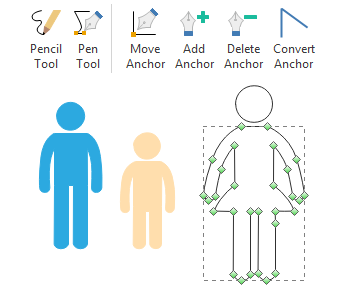 Unlike other online infographic tools which are limited to the built-in shapes, Edraw also support users to create custom symbols on their own. With this function, your drawing possibilities will be endless. You can design whatever you like anytime. The drawing tools are much easier to learn than CAD or PS. There is a dynamic help on the right part of the software for reference. It's a cross-platform based program that works well on Windows, Mac and Linux systems. Team collaboration is available in the software. We provide you with 20M free cloud space, and you can use that to save documents, share works or cooperate with other people. The program offers support for exporting your diagram to various formats, including JPEG, PNG, high quality PDF, SVG, BMP, PS, etc. Powerful exports make it easy to share your infographics to website, blogs, social media, or print out with high clarity. Edraw is dedicated to offering quality infographic software for our most respected users at an affordable price. Please be assured that your infographics software (if you already bought one) is absolutely a wonderful bargain. If you compare our price and quality with other drawing software, you will be surely happy that you have made a wise decision. Got a question? Email us. Edraw experts are always ready to help you. Whenever you got a question, email us. 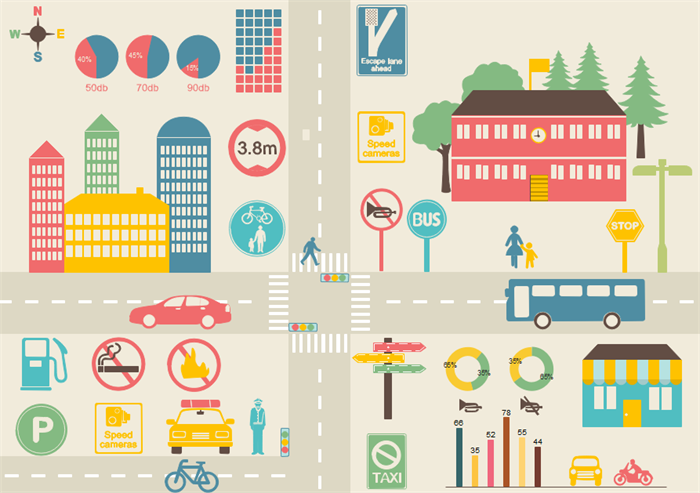 The purpose of infographics is to present ideas and communicate information. As Edraw is an all-inclusive diagram maker, it contains more than infographics. Right within the software, you can get 260+ diagram drawing types accompanied with good-looking templates. This adds great convenience to those who also need to put special diagrams in the infographics design, such as mind map, flowchart, timeline, fishbone diagram, circular diagram, Venn chart, and so forth. There are plenty of infographic examples right in the software. They all can be used as quick starting templates.